During the period of January-September, 2016 there was 26435 entries of applications and letters at the Ministry of Transport, Communication and Information Technologies of RA, 1133 out of which reached the Ministry by email. 369 citizens received free travel certificates on the same period. 2480 new template license annexes for passenger transportation by passenger-taxi vehicles were issued on the principle of “One window” of the Licensing Agency. All applications and letters were processed in accordance with the rules and schedules defined by the legislation. 120 written or electronic inquiries on providing information were made personally, by email or online on the official website of the Ministry from mass media, legal entities and citizens. Those were processed and duly replied on point in accordance with the rules and schedules defined by the RA Law on "Freedom of Information”. 14 inquiries were received from deputies of National Assembly of RA within the mentioned period. All the verbal inquires on providing information were answered immediately and as soon as possible. The Ministry did not require citizens to ground their inquiries both in case of verbal and written, electronic inquires, and no fee was required for providing information as well. The information defined by section 3, Article 7 of the RA Law on "Freedom of Information” is published on the official website of the Ministry of Transport, Communication and Information Technologies of RA. The information is being updated in 10 days period in accordance with the Law and is available in the entire territory of the country. 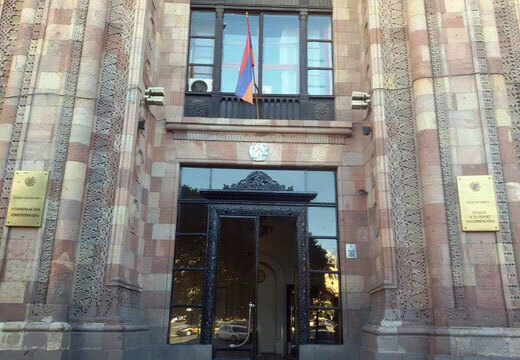 The functions of the Ministry as the information owner, as well as annual report on activity, budget and its performance reports, Ministry’s structure, names and surnames of officials, their working telephone numbers, email addresses, the rules of employment at the Ministry and information on vacancies are taken into consideration. 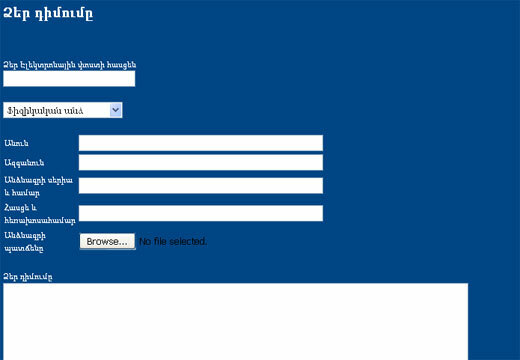 “Hotline” numbers are available 24/7 at the Ministry and are published on the official website of the Ministry. One can get information on the situation of roads in the Republic, on the licensing procedure for passenger transportation by passenger-taxi vehicles, as well as the process of their letters and applications. 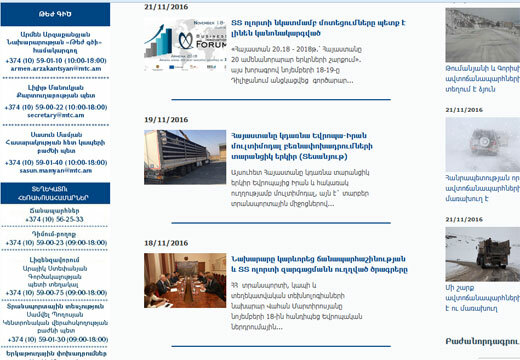 The website of the Ministry of Transport, Communication and Information Technologies of Armenia gives citizens opportunity to track their inquiries online. Special admission days are set at the Ministry in accordance with the citizen’s admission schedule.